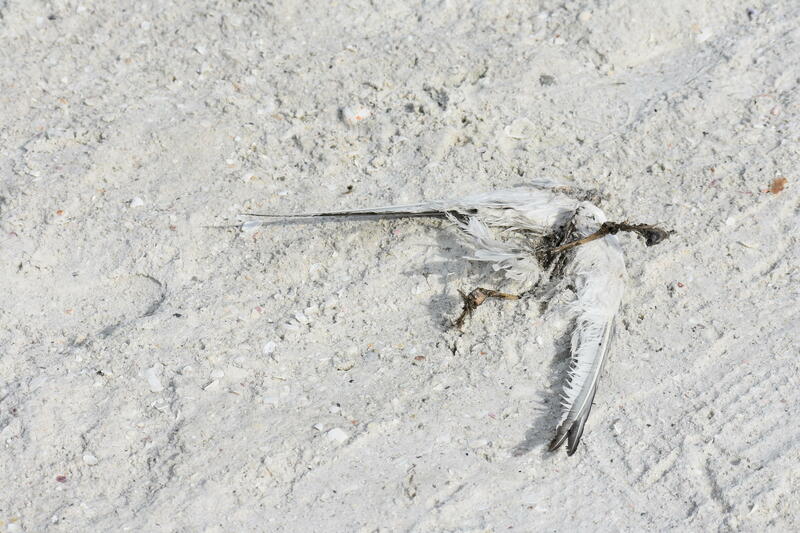 Two dead terns lie on a residential beach in Marco Island. 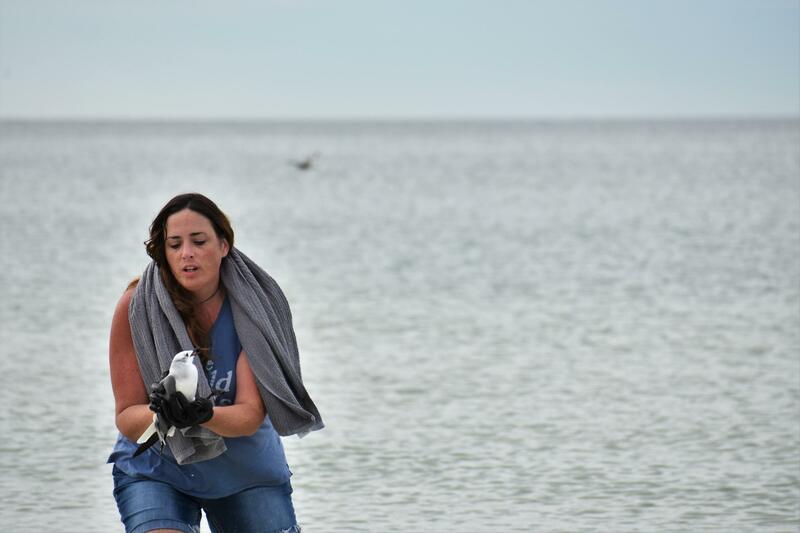 Naples resident and wildlife advocate Colleen Gill picks up a bird that fell out of the sky and into the ocean. Joanna Metzger catches a sick bird to take to the Von Arx Wildlife Hospital in Naples, many of the birds she loads into her blue wagon don't survive the car ride there. 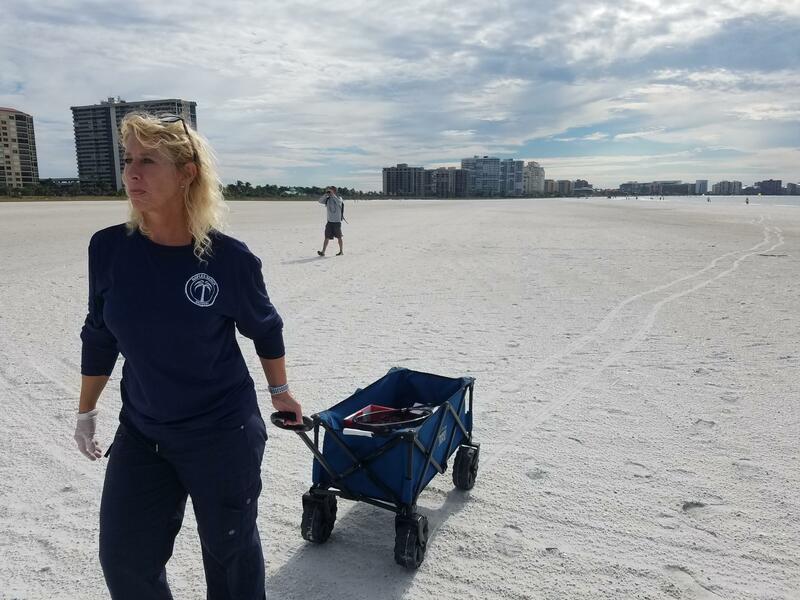 For the last six months, Naples resident Colleen Gill has been patrolling Southwest Florida beaches looking for animals in distress and sharing her findings on social media. “Giving people in real time what's happening to our beaches and showing them the decline that’s happening and bringing them into reality a little,” Gill said. Gill said she is motivated by a personal mission to shed light on the impacts the deteriorating water quality is having on marine life. 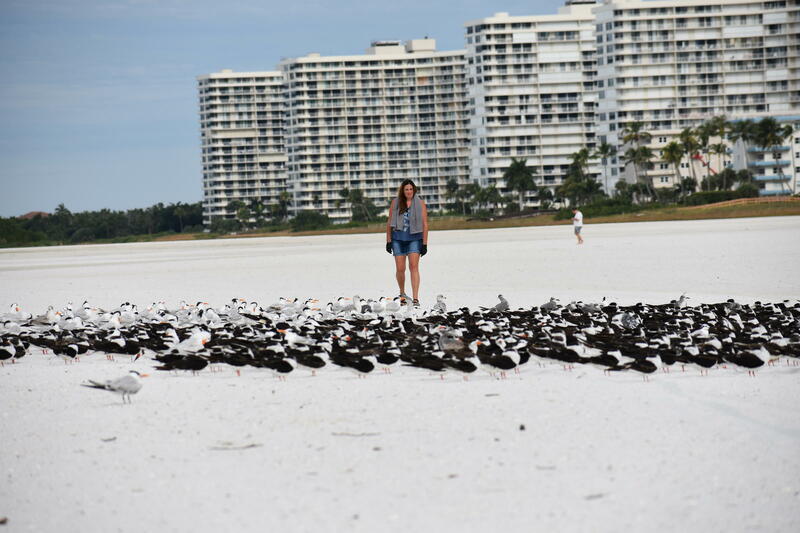 She is on a residential stretch of beach on Marco Island, where more than 100 birds have been found dead or dying over the course of the last three weeks. Most of the birds being affected are small migratory common and sandwich terns. Moments after a small flock of birds takes flight, one falls out of the sky and into the water. Colleen Gill emerges from the Gulf of Mexico after rescuing a bird that fell out of the sky and into the water. "Sorry, I didn't want it to drown," she said. Gill takes off running mid-sentence to rescue the bird. Gill meets up with Joanna Metzger, who pulls a blue wagon behind her. In it are sick birds she gently places in towel-lined shoeboxes. Metzger showed Gill the sick birds she collected so far that morning. Joanna Metzger started bringing a wagon with her to the beach to make it easier to transport the growing number of sick birds she finds to her car. 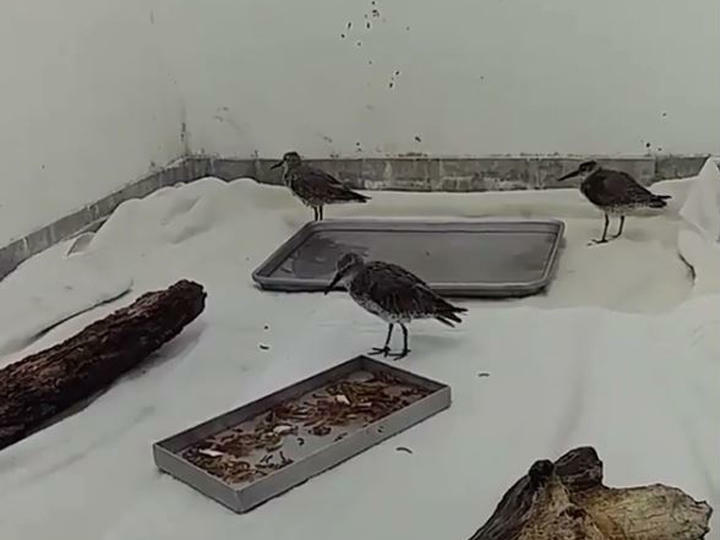 She then takes the birds to a nearby wildlife hospital. Metzger said she visits the beach every day, and at the beginning of November, she encountered a couple dead birds while on a bike ride. “I started bringing my car with a wagon, so I can have more room because, the next day, there were six deceased," Metzger said. "The next day after that, there were eight. The next day, there were nine dead." The sick birds Joanna Metzger collects are placed in towel-lined shoe boxes that she uses to transport the animals to the Von Arx Wildlife Hospital in Naples. 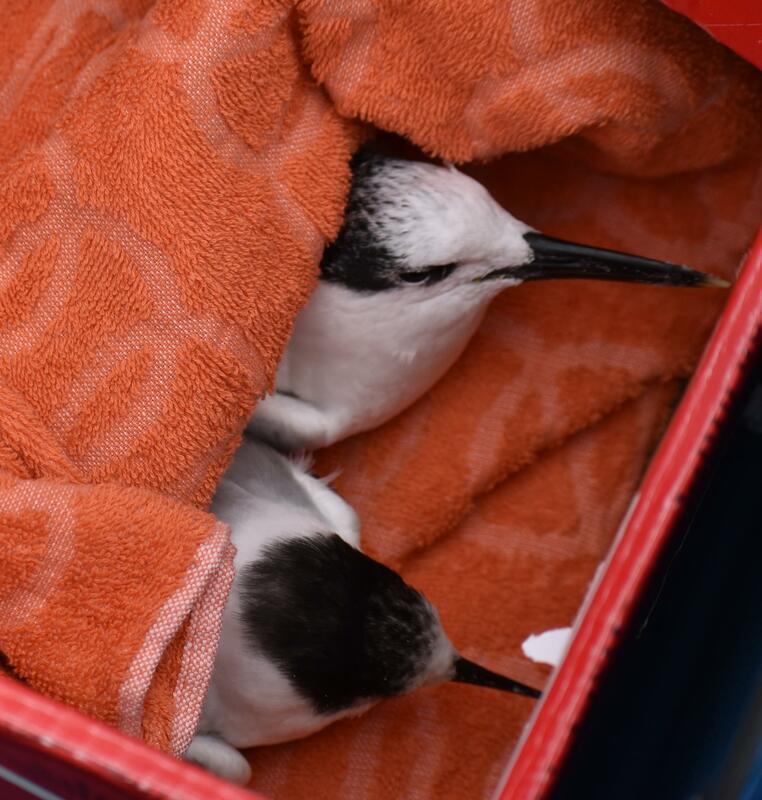 Volunteers like Metzger and Gill rush the sick birds to the nearby Von Arx Wildlife Hospital in Naples, where only eight percent of the birds that make the car ride survive. Hospital Director Joanna Fitzgerald said she’s never seen anything like it. Fitzgerald said samples were sent to the state to determine what is killing the birds the day before Thanksgiving — but hasn't heard back — so there is no official cause yet. In the hospital parking lot, Metzger discussed the fate of the patients she brought in that day. Beach rakers run over bird carcasses and the remains are strewn over the sand. Back at the beach, Gill walks among the remains of birds that didn’t survive long enough for an attempted rescue. Beach rakers rolled over the carcasses of those birds, and now, parts of the deceased birds are strewn across the white sand. "This is great for tourism,” Gill said. She glances at a small flock of terns out near the edge of the water — which Gill said is about a third of its normal size — and, then, continues walking in search of birds that need saving. Gill oversees a flock of birds. She is looking for sick birds to take to the Von Arx Wildlife Hospital in Naples.